What’s the Most Common Pet Toxin in Your State? The ASPCA Animal Poison Control Center Weighs In! 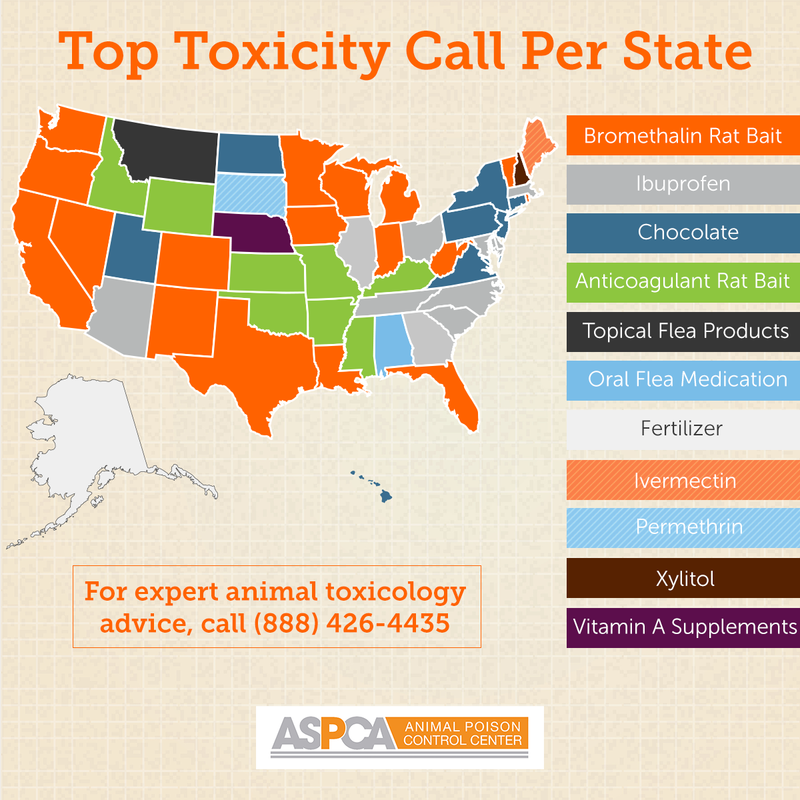 Every year, the ASPCA Animal Poison Control Center (APCC) releases a list of the top calls received from each state. Year after year, we find that chocolate, ibuprofen and anticoagulant rat bait—a dangerous poison that can cause internal bleeding if pets eat it—top the list. In 2016, we saw a significant increase in a different kind of rat poison, one that causes neurological symptoms, such as tremors and seizures, if pets eat enough of it. The APCC wants you to always make sure to keep any rat bait out of paws’ reach. Rats can sometimes move bait to areas that pets can get into, so keep an extra close eye out for potential poison dangers. Below is APCC’s state-by-state breakdown of the most common pet toxins across the nation.